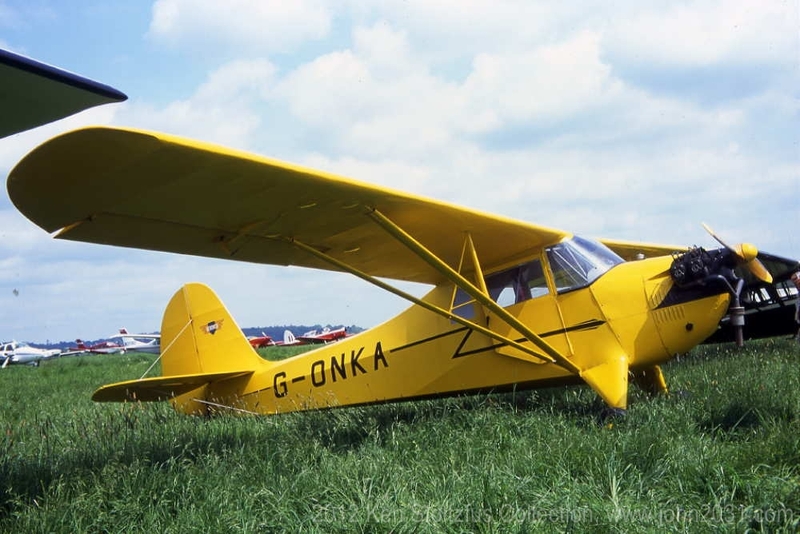 Here is some basic information on aircraft that are covered on this page. I will post other models when I have photos. 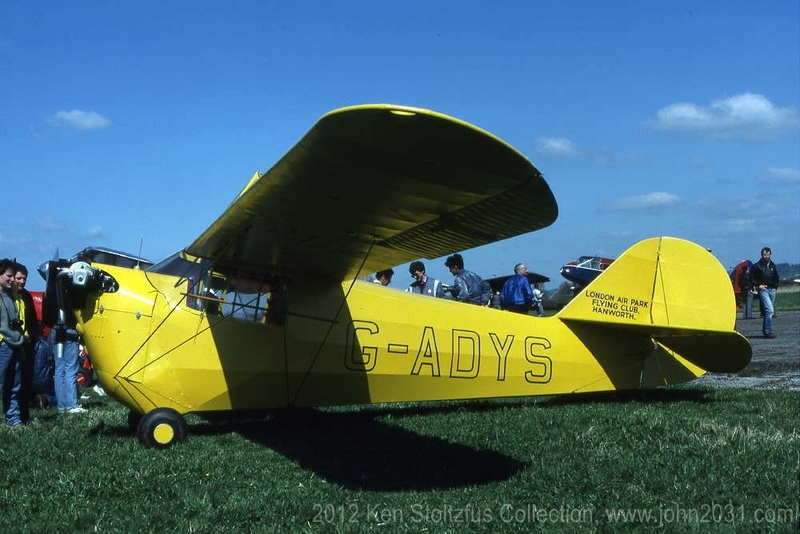 All of the slides are for sale, along with thousands more on aircraft of all kinds. Please inquire. 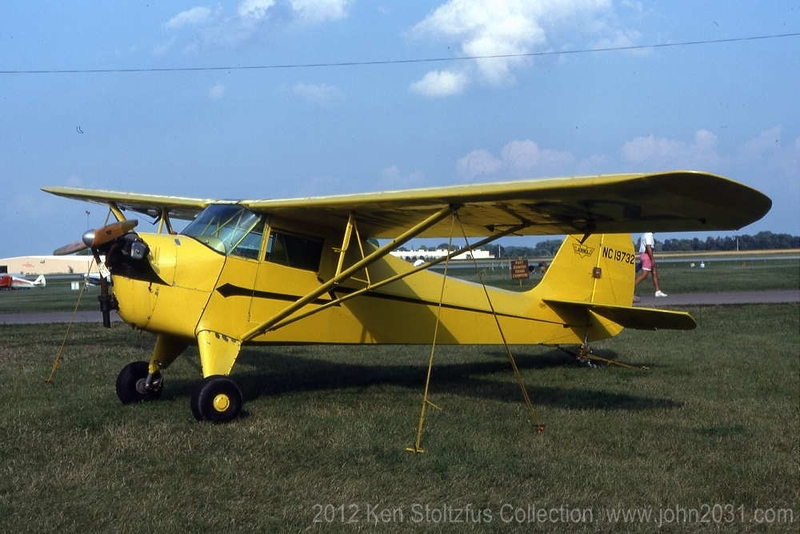 C-3 Aeronca N13553, A-287, the first airplane owned by my father, the late Chris D. Stoltzfus of Coatesville, PA. The back of the photo says "1936." This was a black and white photo that was “tinted” by my mother, the late Irma H. Stoltzfus. I remember the little kit she had with tubes of different colors, and she would brush some on and wipe the excess off. She had a pretty good hand at it. 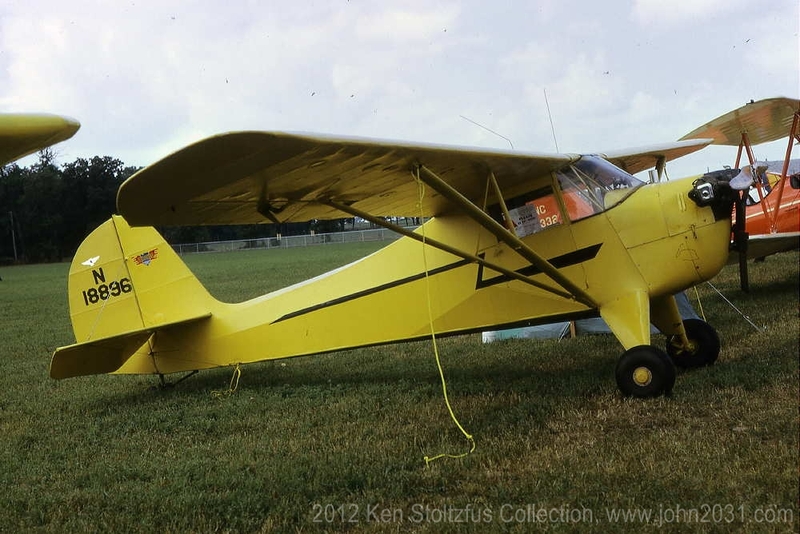 The 1932 C-3 is a two-place aircraft with a whopping 36-HP, Aeronca E-113 engine. 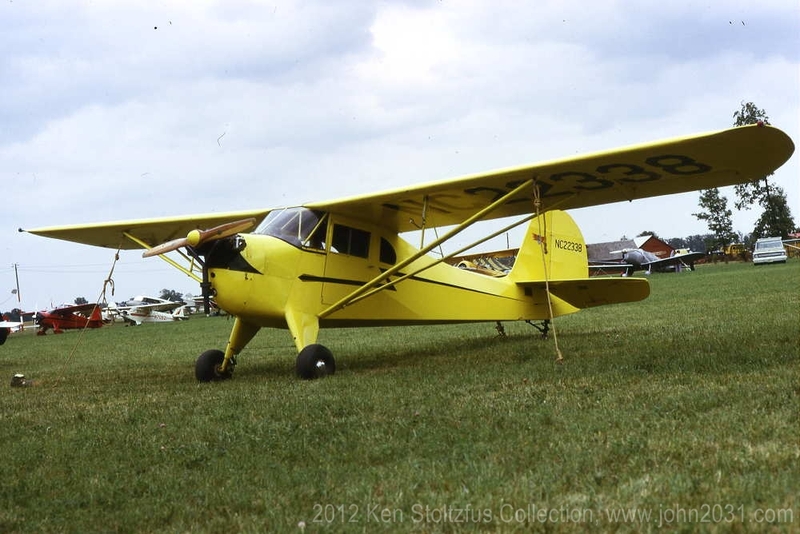 They were built by the Aeronautical Corp. of America, in Cincinnati. The landplane grosses #900, with the seaplane a bit higher. Float installation weight was only #135! 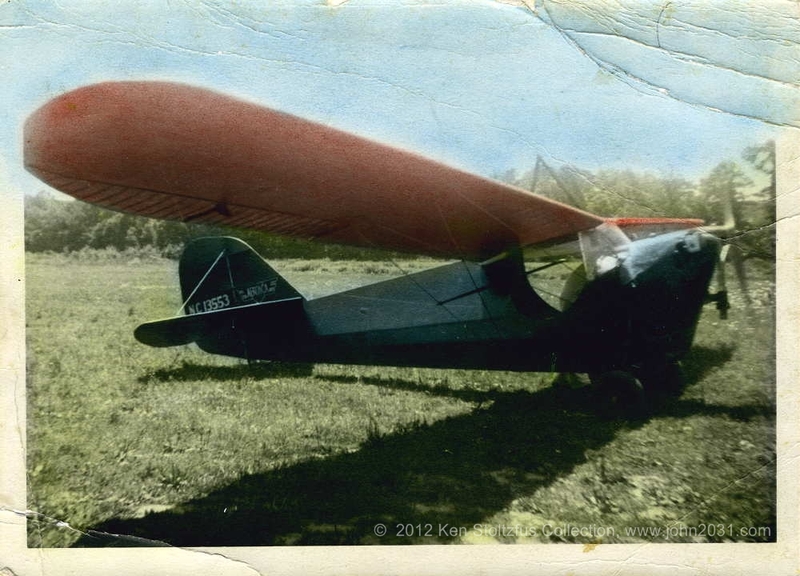 It cruised at 70 and landed at 35-mph, but an airspeed indicator was not required equipment. One had to fork out just over $1700 for a new one. 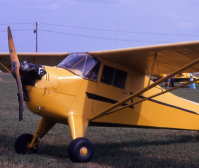 The 1932 model had removable doors. 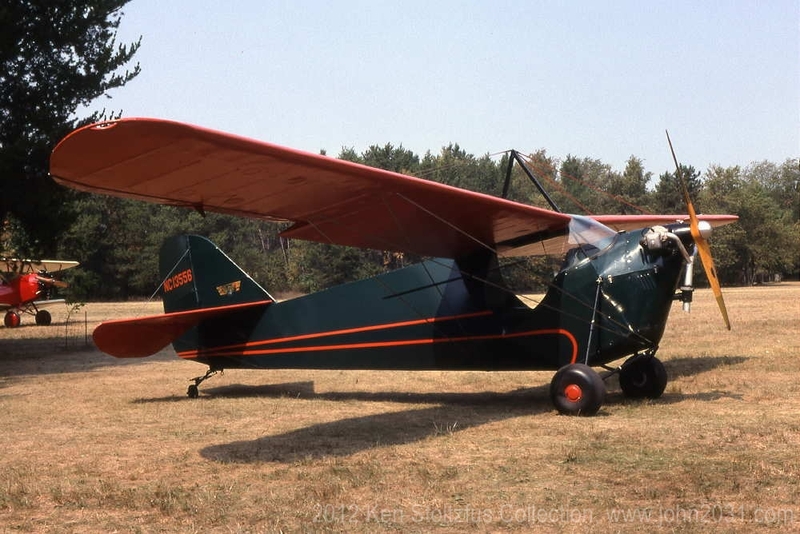 Can you see why the C-3 Aeronca was sometimes called the “Bathtub”? Note the mudguards over the tires. I’ve operated out of pastures enough to know what cow pies do to ones’ wings! 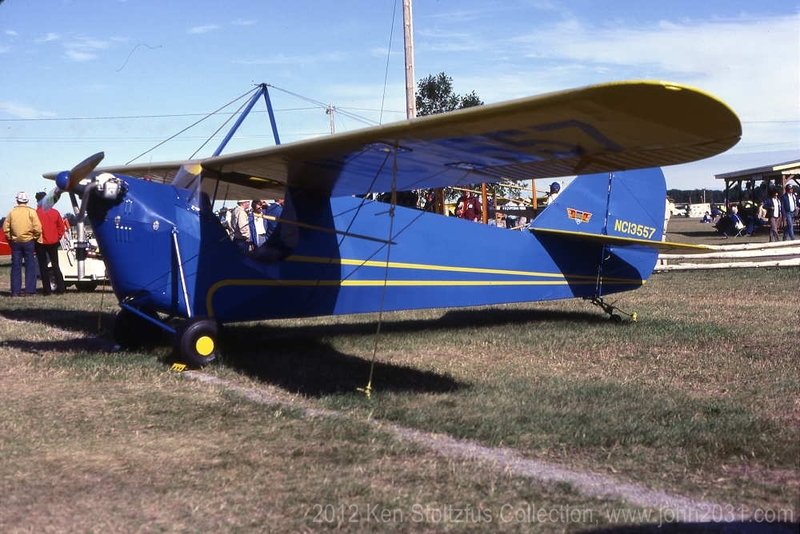 Father’s C-3 had a tail skid and no brakes. It wasn’t the right thing for a Mennonite boy from southeastern Pennsylvania to do. 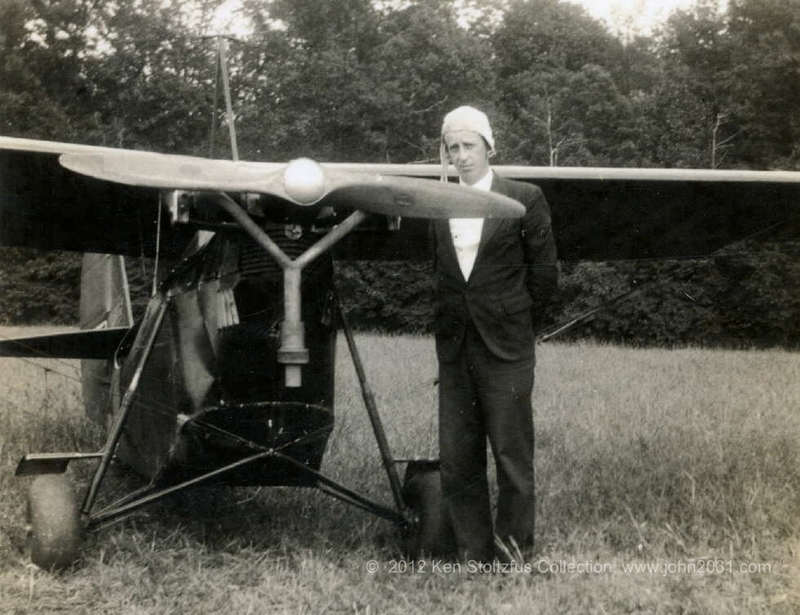 Flying airplanes simply didn’t fit the box that the church had defined. But the late Chris D. Stoltzfus could see outside of the box and he liked what he saw. 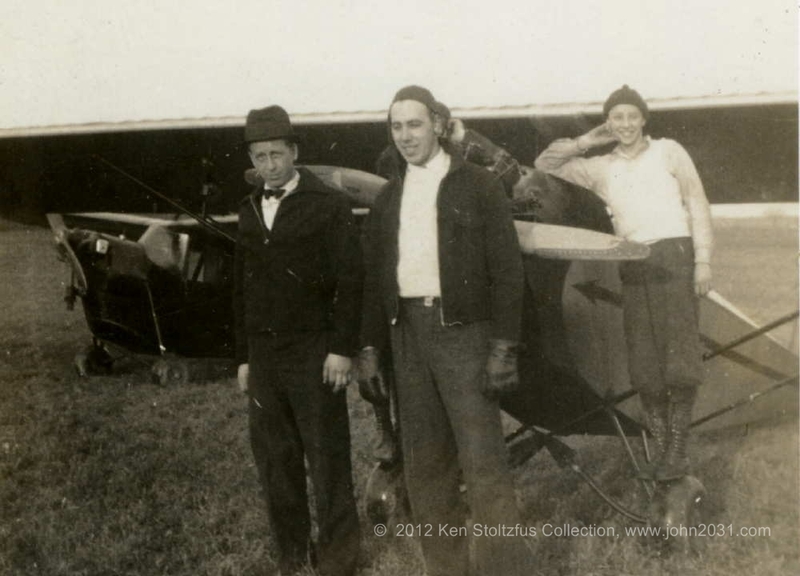 Father became quite an aviator, and an innovative one as he got into the ag business. 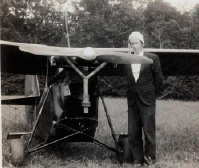 On his parent’s farm near Cochranville, PA, in 1936. They finally accepted his bent toward aviation, albeit it reluctantly. Here some friends have come over to the farm and if I know anything, Father was taking rides. 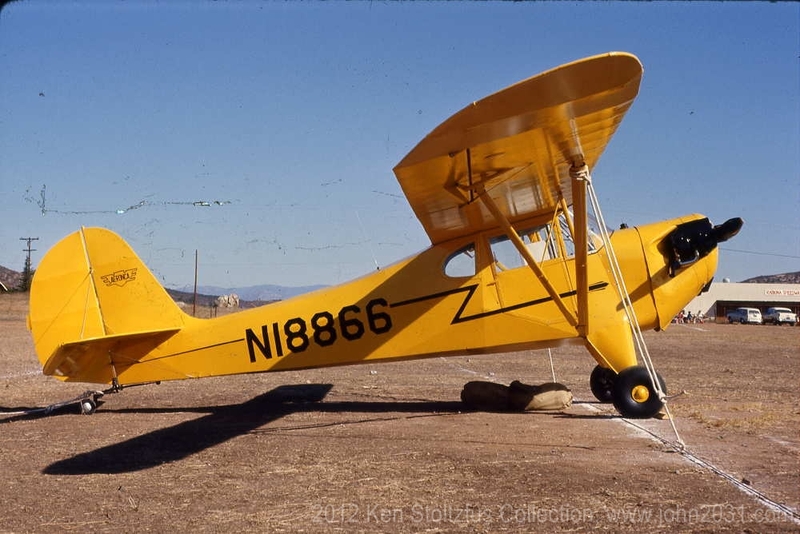 Interestingly, NC13553 was Father’s first airplane. 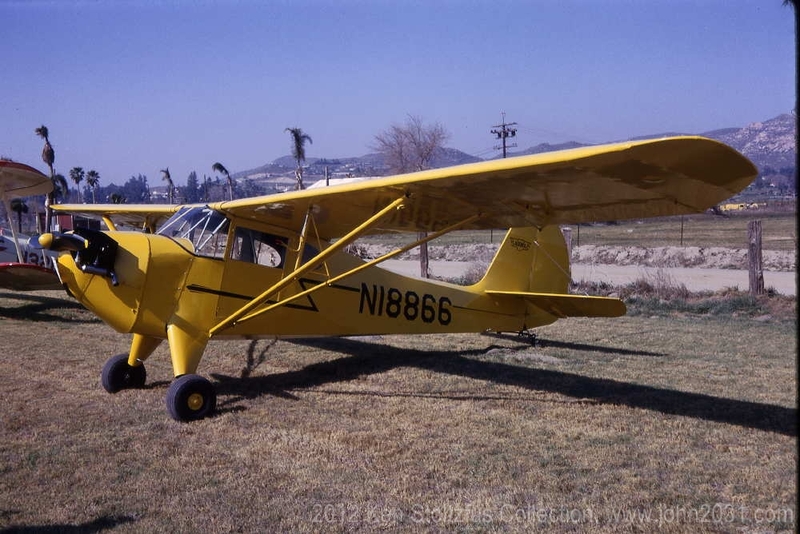 My brother Karl’s and my first airplane was a J-3 Cub, N51533, which is the same numbers but in a different order. The J-3 now belongs to my son Mark. Father on the left in suit, bow tie and hat, with his C3 in the background. 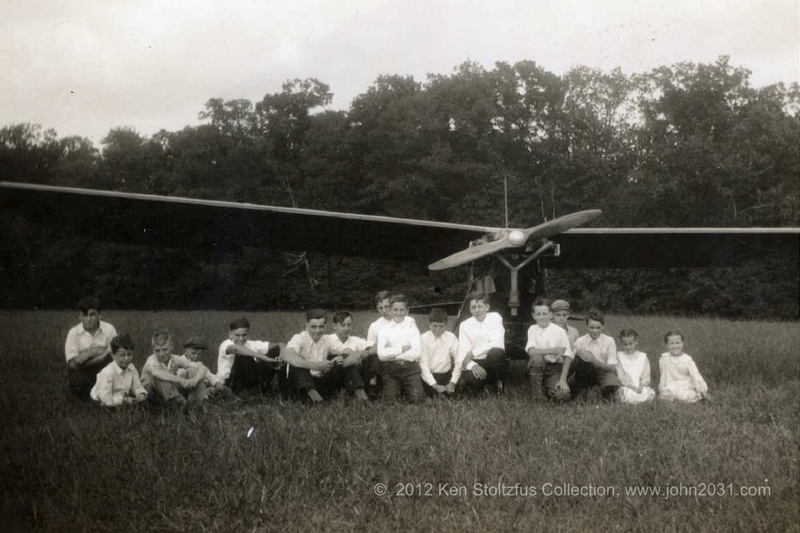 I don’t know the people or the aircraft in the foreground, but maybe someone can help. It has a radial engine that turns counter-clockwise. This photos is marked "1935." 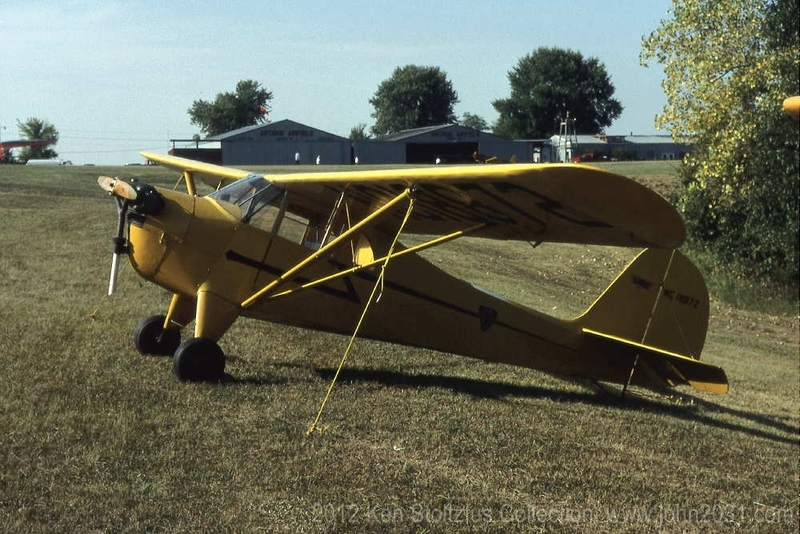 After Father sold the C-3, the new owner spun it in and killed himself. 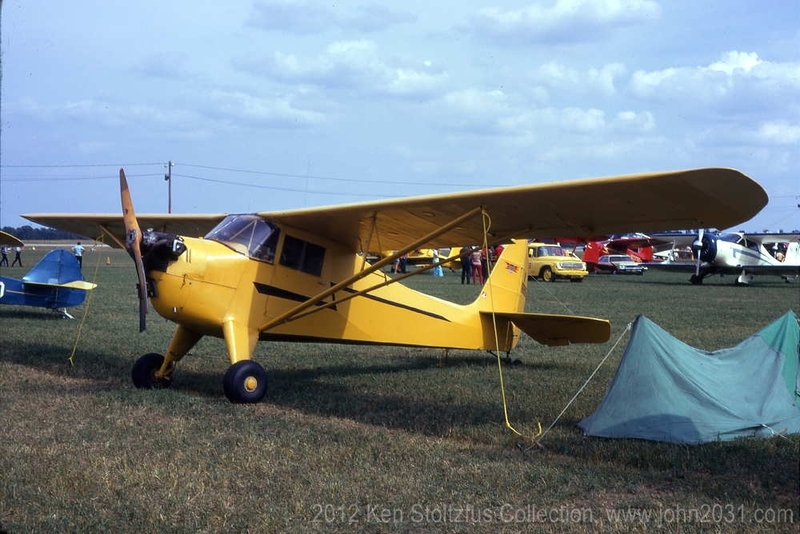 Father got the Aeronca logo off of the tail and Karl still has it. 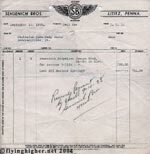 One of Father’s C-3 stories was about a Sunday afternoon ride in 1937. He had a full tank of fuel and about a dollar in his pocket. The plan was to fly south until he had about half a tank left, and then go home. He was over Maryland when he looked down and saw another C-3 in a field. When he landed to take a look, one of his wheels rolled off. 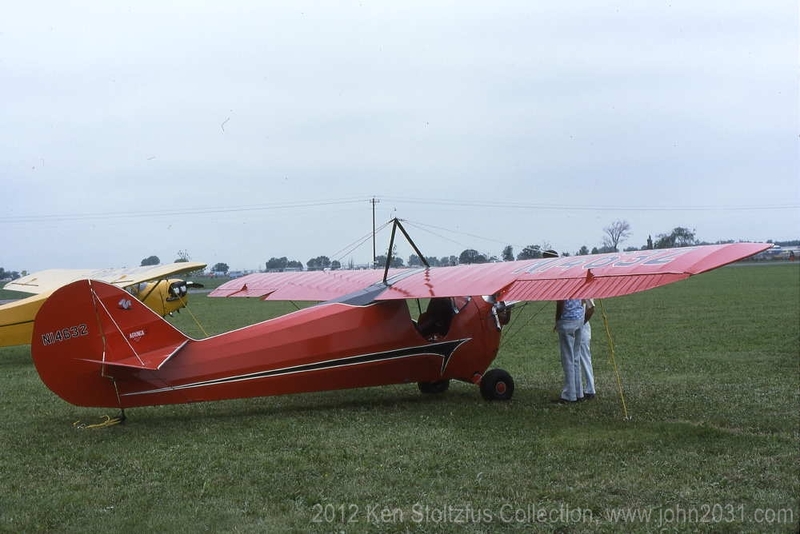 The axle dug in and the Aeronca nosed up and cracked the prop. They put the wheel back on and the other C-3 owner took him to a gas station where he got some tar tape (yes, kids, tar tape). He wrapped the prop well to hold it together for the trip home, but when he started it up, the tape flew off. So, back to the gas station for more tape, and this time some tacks. He taped it, and tacked it, and this time the tape stayed on. 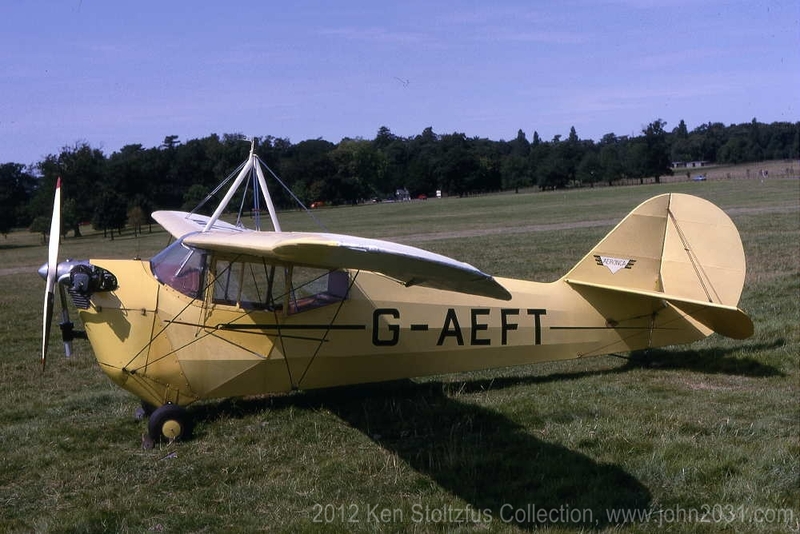 However, the propeller airfoil was so disturbed the airplane wouldn’t fly. He left the airplane there and got a ride home somehow. 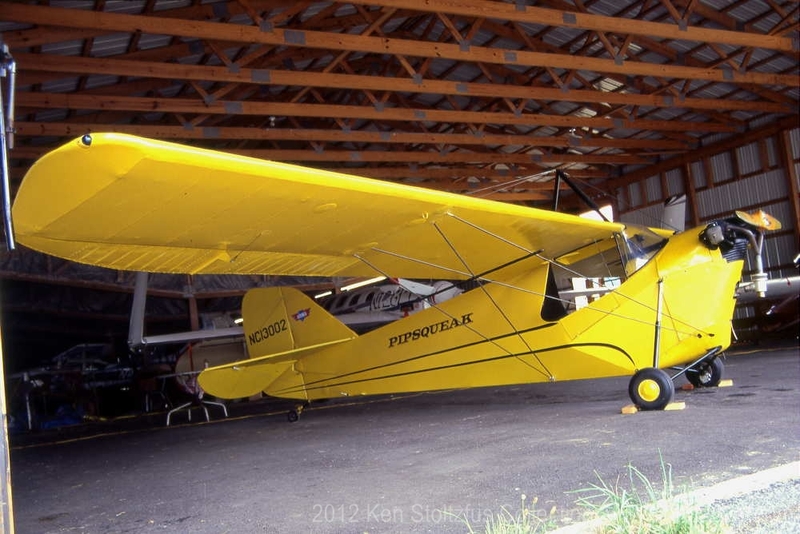 He didn’t have money for another prop, so after a couple of months he took one he had from a larger engine, re-drilled it to fit the Aeronca hub, and flew it home. 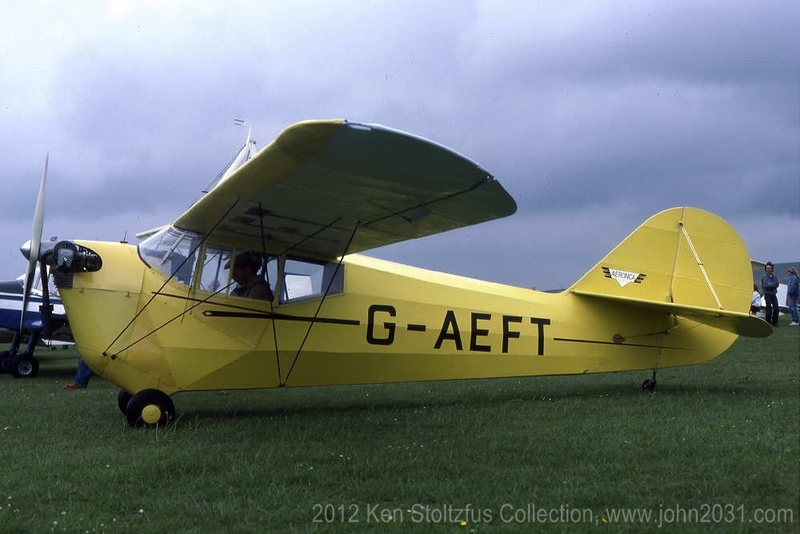 The little 36-HP E-113 could hardly turn the prop enough to make it fly, but he staggered home low and slow. 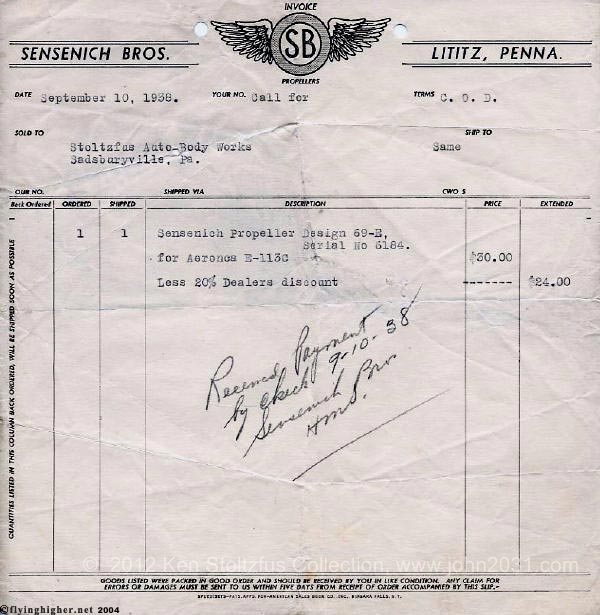 This receipt was for his replacement prop when he was finally able to buy one.